List of Oculus Rift Video Players Available! Wondering how many Oculus Rift video players are there, and which of these movie theaters is the best? During my writing career here in Riftinfo, I noticed an interesting path that VR takes. Starting with Oculus Rift and its games, followed by other companies announcing their own headset, and now even accessories like Oculus Touch are starting to emerge. VR has even visited the cinema world, giving its unique perspective to viewing experience. I mean, if you have had a chance to watch VR movies/videos that support head tracking, you would know that it has a bright future. All these major news sites like PCgamer, IGN, Forbes and so on aren’t exaggerating when they say they truly believe in VR’s major success in movie industry. However, since VR is still young, Oculus company doesn’t have time to make official software programs concerning movie theaters/ players for the Rift (they do have Oculus Cinema for Gear VR though). *If we missed any, do contact us and we’ll add it. VR Player is a known program amongst Oculus Rift veterans. Although I would not recommend using it with DK2 (as it has some performance issues), it is one of the best video players available for the first Oculus Rift development kit. Download here. Say hello to one of the most popular DK2 video players. It is on top of the list for many people, and for a good reason. It perform superbly, has a solid tracking, and has no performance issues. It is my second favourite Oculus Rift video player. Download here. MaxVR does everything that you ask him to. There are no complications with this program. Although some features might be missing, it can be seen as something positive. It is one of the most simplistic players that doesn’t confuse their users. Download here. Price is $9.99. CINEVEO is a bit of a controversial app. Its creator, Sven Kohn, had some dishonorable ways to market his program, as well as having a bad customer support. Due to these incidents, CINEVEO has been blacklisted in vrapps & EnterTheRift.fr. You can read more about the incident here on reddit. Price is $9.99. Whirligig has been praised for its smoothness. No judder is a big plus, especially when watching movies for hours on end. Some people even have named Whirligig as one of the best Oculus Rift video players available. Download here. This one has a lot of functions to offer. 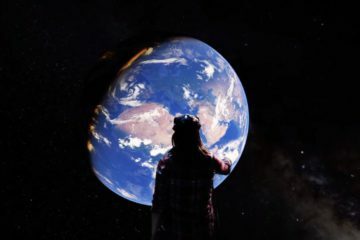 Apart from watching 360 videos, you can experience movies online, and have an opportunity to connect your Apple or Android devices with your VR headset (GearVR implied). More information here. VLCRiftPlayer is a simple program that does its job well. It is also one of the few video players for Oculus Rift that lets you add subtitles since they’re built directly into VLC. Download here. Finally, this one is my favourite. Although LiveViewRift is pretty close in terms of first place, I prefer this one over anything else. Virtual Desktop has all the necessary functions, performs well and lets you watch Youtube 360 videos with an Oculus Rift (click for guide). Download here. With the latest updates, vorpX is not only making itself one of the leading VR injection programs, but adds extra functionalities like video player options to user menu. Apart from just watching regular movies, you can now enjoy 3D movies, as long as they are in VLC and MPC-HC format. Download here. Price is $39. I am sure Oculus will release their own Oculus Rift media player, but in the meantime, feel free to check the players above. Hi, yeah it’s probably because of application not being supported by Oculus Rift CV1 anymore. Will be making a new list for VR movie viewing in the future. Thanks for listing the 10 VR player, I tried the Kolor eyes, and it is amazing! I also read about the review of those VR players, it’s very thorough, could be helpful. Would be good to re-review these players and note which work on Windows 10 and latest Oculus Rift runtimes (i.e. direct video). I like the simplicity and versatility of Media Player Classic. So I wrote a plugin that displays the MPC output on the rift.